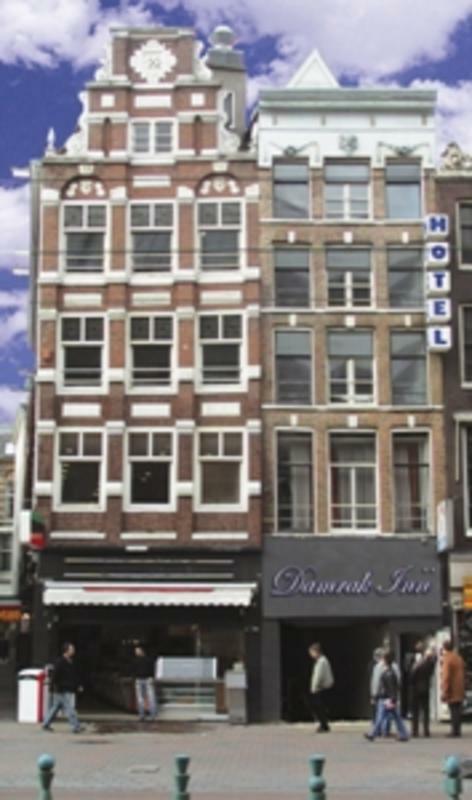 Hotel Damrak-inn is a charming inn located on Amsterdams main road Damrak.The hostel is located on 1 minute walk from the Dam Square, 5 minutes walk from Amsterdam central station and 5 minutes walk from red light district. Within 10 minutes you can reach all of Amsterdams famous attractions, such as the Rijksmuseum, the van Gogh museum, the House of Anne Frank and the Heineken brewery. Several payable public car parking garages are on a 5 minutes walk from the hotel. Our reception staff is happy to assist you in arranging various excursions including Amsterdam Canal boat tours, exciting trips to the typical Dutch village Volendam (wind mills), excursions to Madurodam (the Miniature City) and much more. - 5.5% City tax is excluded. - We do pre-authorize customer's credit card a week before the arrival date. - Please note that Damrakinn hostel does not have an elevator, so expect traditional Amsterdam stairs. - Reservaiton during IBC event (In September); Queens' Day, New Years' Eve, can be cancelled or modifed 3 weeks before arrival date without any charge, Otherwise the hotel will charge your credit card with whole amount for no-show, late cancellation or late modification. - For group booking (5 or more roooms / 5 nights or more), cancellation if free of charge with 7 days advanced notification prior arrival date. In case of noshow or late cancellation, the first 2 nights will be charged. - Cancellation or modification will only be acccepted through the bookingagency or through the hotel directly by email and not by telephone. The station is clearly marked and located in Schiphol Plaza at the center of the airport. Tickets to Amsterdam Centraal Station (one way 2nd class) can be conveniently purchased with a credit card at the yellow ticket booths or at the Dutch Railways ticket counter. Amsterdam Centraal Station is within walking distance - just 300 meters/yards. Exit the central station from its main entrance. With the station building behind you, keep to the right. Cross the bridge, then cross the road at the traffic lights and you will find yourself in the pedestrian section of Damrak, Amsterdam's main street, lined with cafe's and just a few steps away from your comfortable bed at Hotel De Damrak-Inn.